On January 2, 1974, U.S. President Richard Nixon signed the Emergency Highway Energy Conservation Act into law, which set a new national speed limit. This law was drafted to counter the effect of spikes in oil prices and disruptions in supply that were common during the 1973 oil crisis. Before 1974, speed limits were decided by the individual states. 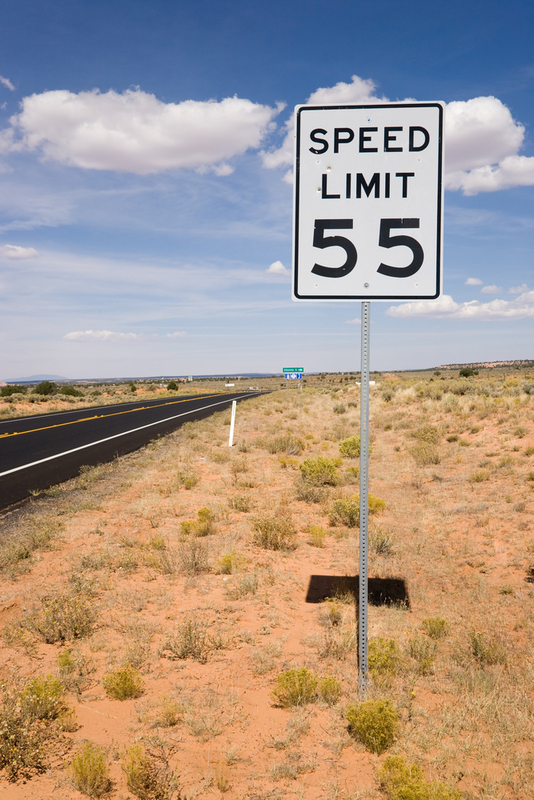 Highways speed limits across the United States ranged anywhere from 40 mph to 80 mph. From 1950 to 1972, Middle Eastern oil was cheap, plentiful and easily accessible. All this abruptly changed in 1973, when Arab members of the Organization for Petroleum Exporting Countries (OPEC) took offense when many western countries backed Israel in the Yom Kippur War. OPEC showed its displeasure by stopping oil shipments to the U.S., Japan and Western Europe, and later quadrupling its price. This action had global consequences, and the U.S. and European economies were forced into a recession. Part of President Nixon’s response to the embargo was signing a federal law that would lower the speed limit on all national highways to 55 mph. This law was enacted to encourage Americans to drive at speeds that were deemed more fuel-efficient to lower the country’s dependence on foreign oil. With this legislation, Nixon introduced an era of fuel conservation and rationing the country hadn’t seen since the days of WWII. The Department of Transportation was forbidden by the act to fund projects in any states that refused to comply with the new law. Most states just lowered their speed limits and were done with it, but many western states with hundreds of miles of straight, rural highways complied only grudgingly. There was a thought to return the right to the states to set their own speed limits within their borders, but advocates of the national speed limit insisted the law lowered the number of speed-related highway fatalities, so Congress kept in on the books. It was finally repealed in November of 1995, when studies could not prove conclusively whether it was lower speed limits or better auto safety features that were the reason for fewer fatalities. Speeds limits in the Unites States today vary widely, from 35-40 mph in congested urban areas to 75 mph on long, straight stretches of rural highway. With the attitude of cooperation and mutual concern expressed by a wide range of conservation actions by individual Americans, the social and economic impacts of the energy crisis can be minimized and we can look even more confidently to the day when we will become self-sufficient in energy. Speed Limits in the U.S.